I need an Optimus prime tag like yesterday!! I tried looking for one when I sent you that collar, there was a machine that did tags and at one point when the first movie came out the machine did Transformer tags but when I went to the machine they didn't make them anymore lol. Nox, that batman tag is awesome!!! Must remember...food...for...dogs...more...important... than...pretty...collars...!!! Oh, but it's hard! I want!!!!!!! His first baby spike collar! His superhero/comic collar. 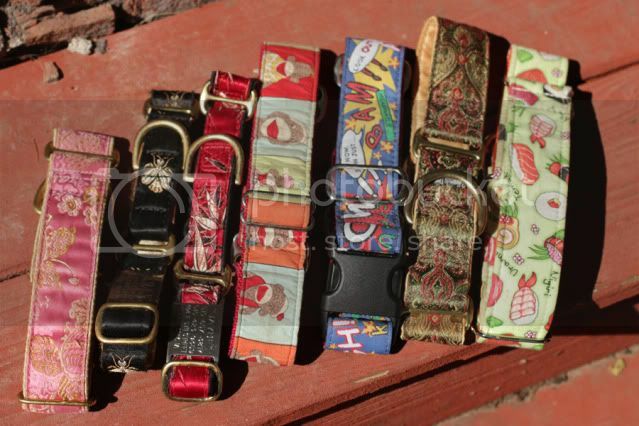 This is from luxury dog beds, collars, bowls & more from CallingAllDogs.com They no longer have it. I got the last one but I know collar mania has the fabric as well. His Budweiser one that his dad wanted. It has our info on the back. It's all beat up cause it's on his camo collar and that's his park collar. Our special tag from Nox which is my favorite. Our tag that was suppose to be for his custom collar but it got lost I need to order a new one. and I'm sure there will be many more to come Next up is a paco collar! Last edited by kwhite30; 06-01-2012 at 06:48 PM. I love Fetching Tags but they're so expensive. Ruthie has a similar stamped metal tag that I got for much cheaper off Etsy but it makes her fur kinda silver/grey so when it comes to new tags they will be Fetching Tags... but not until it's absolutely necessary, they have a huge sale, or I come into money. I MUST know where you got this collar. Please? 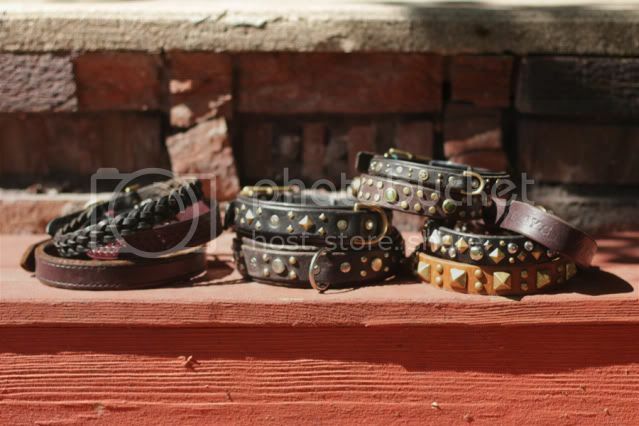 That's from Collar Mania (Collar Mania Custom Dog Collars - Home). I'm PRETTY sure that they still have the fabric. I actually looked through the whole thread and figured it out, although I can't find the fabric. Not easy to look through it all, lol. Sometimes if you ask about it on the FB page she'll get back to you and tell you if she has it and what page it's on. Indy has a few, 5 of them came from Andrea at Dog's Art. Pics up tomorrow of all her loot! Nox's in a size 18". 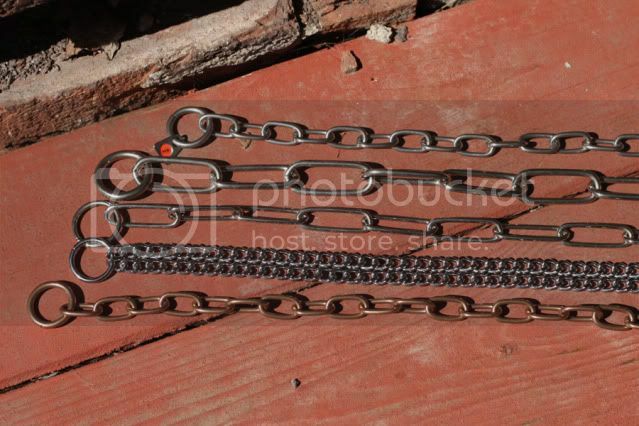 Its a pretty heavy collar but not as bulky. The craftsmanship on this collar is amazing down to the last stitch! We'll make you broke soon and fast ! 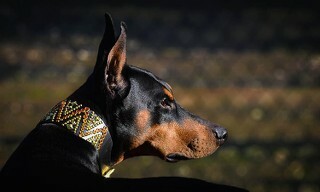 These collars are too darn cool! I hope to have such a collection!! My fam makes fun of me because Xee has so many already boy they dont know whats coming do they?! Last edited by SoCalDobie; 06-02-2012 at 10:51 AM. Whoa! 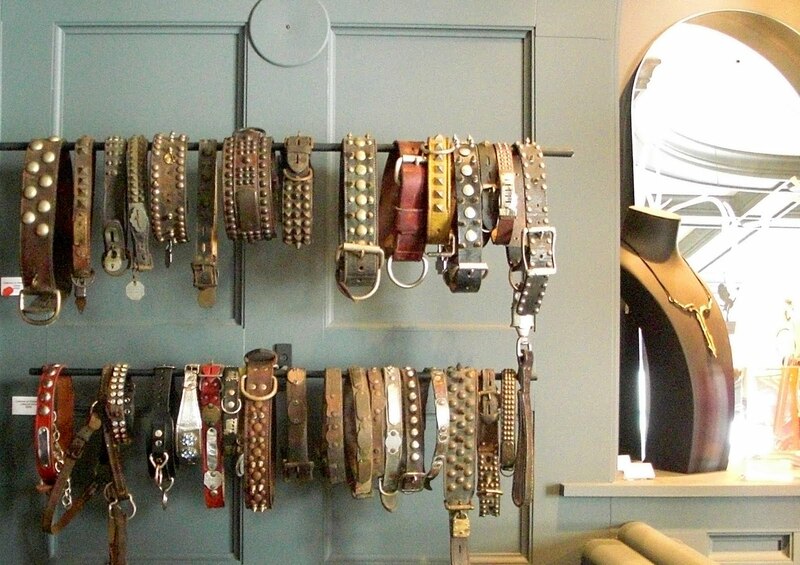 That's the mother load of cool collars! I would definitely need to be restrained if I walked in there do they have a site?. 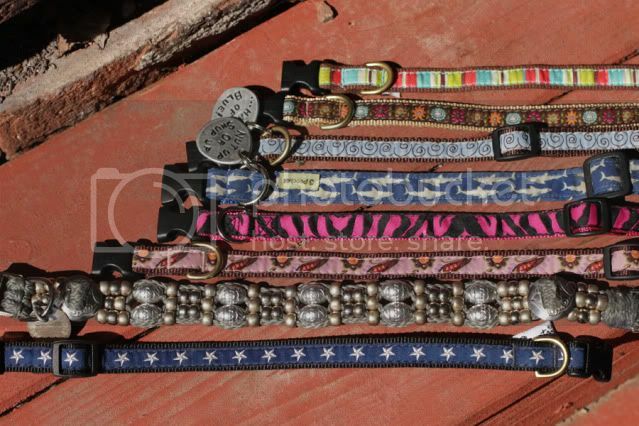 They're just pics from google, but the shop had a whole load like them Theres a couple of boutique style pet shops over there, theres one I've got the name written down somewhere which does collars like the silver one. I'll go find it, but you'd better make sure you're sat down before you see the prices!! 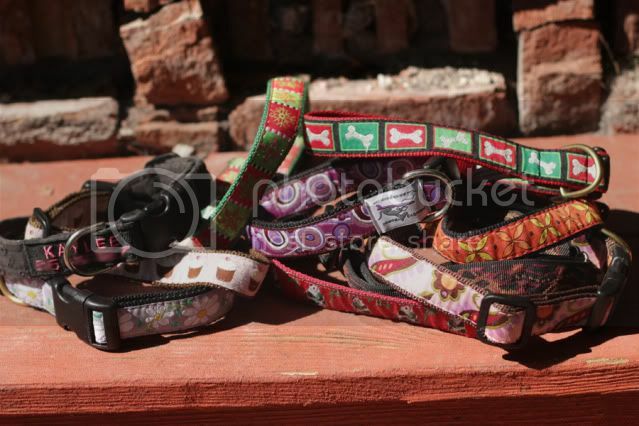 Oh lord, I think I might have to take photos of all my collars... this might be a little scary. But I'll try. Okay, and these aren't even all of them. ooooo Zac is joining!! He will have photos posted soon!